I don't follow a strictly vegan diet, but lately I have been leaning that way because I find dairy-free meals are easier on my digestive system. 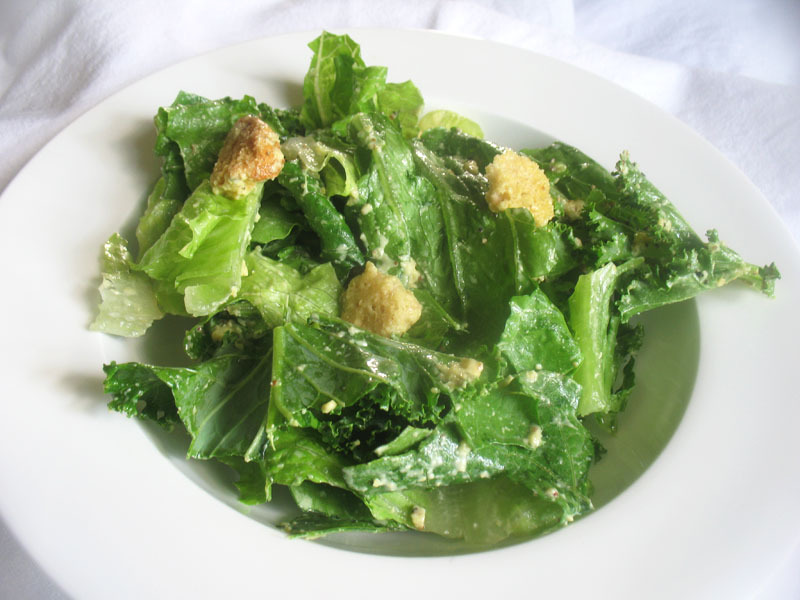 Though I've long mastered a vegetarian Caesar salad, I wanted to find out if a vegan version was just as tasty, and it was! What I did here was to make a cashew-based dressing with some almond milk, garlic, olive oil, mustard, nutritional yeast for some cheesy flavor, and some fresh lemon juice for a bit of zesty zing. Don't forget the black pepper either. 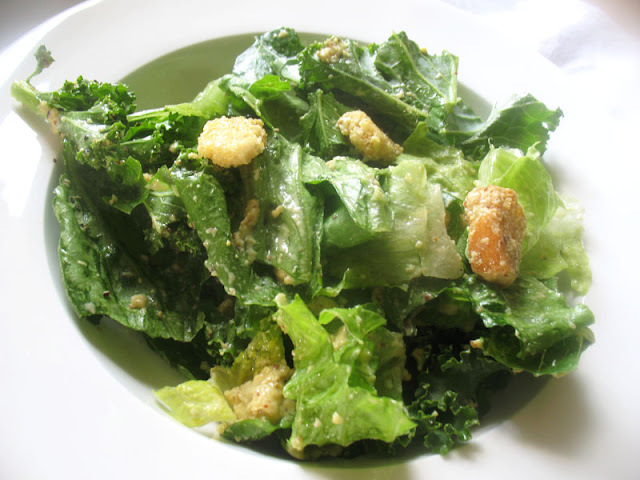 The combination of kale and romaine worked well here and you can add croutons or not — it's not required, but it fills out the salad nicely. 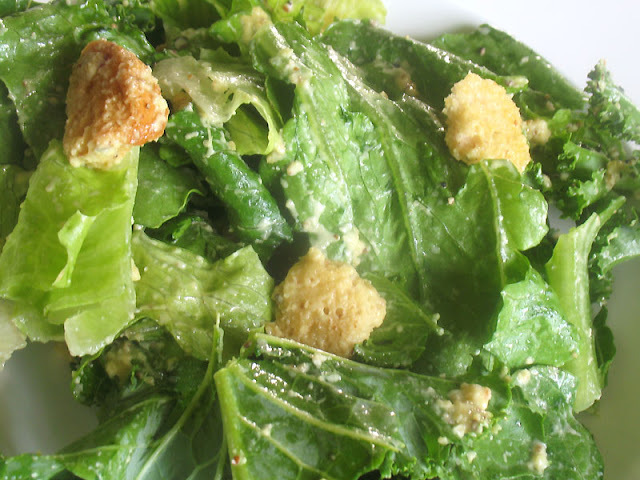 An all vegan version of the classic Caesar salad with a creamy and zesty cashew, Dijon and lemon dressing — no one will miss the dairy in this one! Soak the cashews in warm water for 2 hours or longer. In a large bowl, combine the romaine lettuce, kale and croutons. Drain the cashews and add to a food processor or blender. Add the remaining dressing ingredients and process until smooth. If too thick, add more olive oil. Toss the dressing into the salad until well mixed and add some more black pepper and sprinkle with vegan Parmesan if desired. *Note: To make vegan Parmesan, combine 3/4 cup unsalted raw unsalted cashews, 1/4 cup almonds, 4 tablespoons nutritional yeast, 1 teaspoon sea salt and 1/4 teaspoon garlic powder in and pulse into a fine meal. Store any remaining cheese in a well-sealed jar in the refrigerator. I've been really into cashew-based dressings lately! This one sounds perfect to add to my repertoire!